I know I've said this a million times, and Ill say it again, ideas come from the most unexpected places...the idea for this post came from a manicure I did a while back that also used the two polishes that I used for this manicure. I noticed that when painting the blue over the white, there was a certain amount of transparency near the middle and end of the strokes, and I knew if I diluted it a bit more with clear polish, I could layer it to create a china pattern! 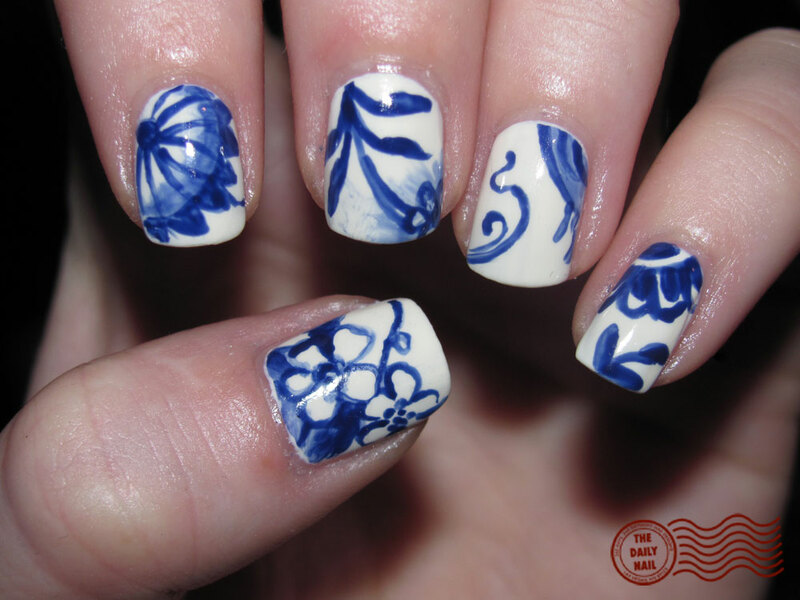 I've always loved the look of old china, and though I'd never own it (I'm far too clumsy), I'll admire it from afar...and on my nails! :) I hope that you enjoy my interpretation of antique china patterns! I used American Apparel Cotton as a base, with ULTA Moody Blues for the china pattern. To make it a tad sheerer in places for layering, I mixed it with Seche Vite top coat. 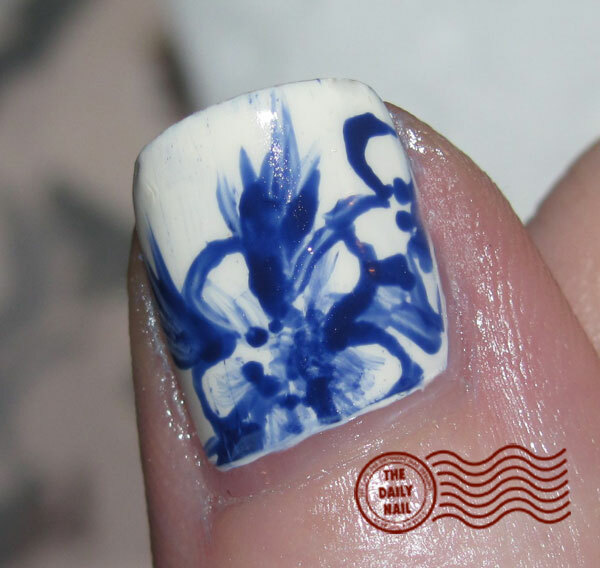 I then topped it all off with 2 coats of Seche Vite top coat.